New Album - fado da vida for sale now! Check out the latest Newsletter, including tour dates and CD liner notes! “No one in the United States is doing more to breathe new life into Fado” (San Francisco Chronicle). Rediscover Portuguese Fado music as you’ve never heard it before. While still maintaining the integrity of traditional Fado, Ramana Vieira of San Leandro, CA is opening new doors for the genre with progressive layers and nuances for the 21st century. Vieira has shared the stage with Grammy-nominated Fadista Mariza. In 2010, Vieira received the honor of being invited to Macau, China to headline the huge “Encontro Festival,” where she wowed the audience during closing ceremonies and was chosen to appear on the front cover of the Macau Journal. Nominated for the International Portuguese Music Awards in Two Categories, Best Fado and Best World Music song both featured on the site "Nem As Paredes Confesso and Cabo Verde. Click here to see my videos. 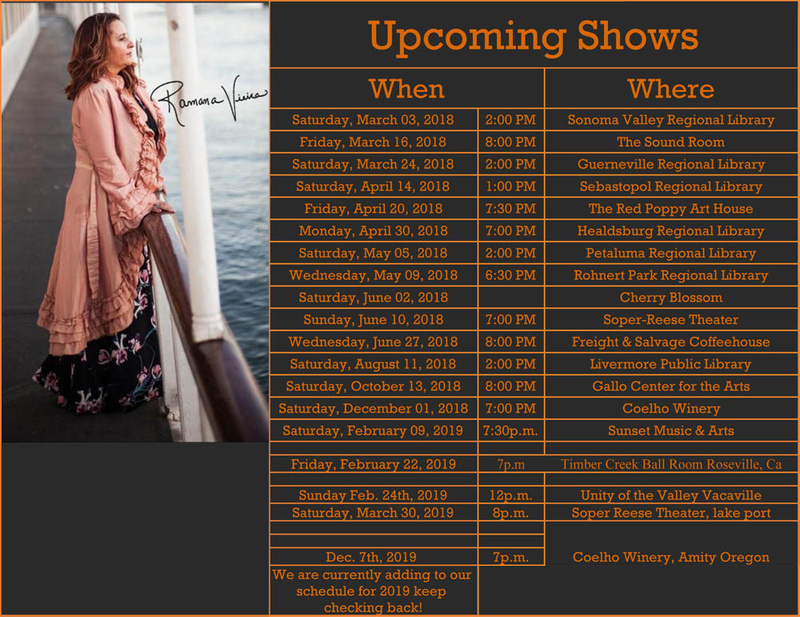 If you would like to learn more about Ramana Vieira, her music or upcoming shows, we invite you to contact us. Copyright © Ramana Vieira, 2019. All rights reserved.